C&IT's Best use of a Small Budget award was won by agency Simply Better Events for its Skipton Direct Festival. Venue: Skipton Building Society HQ, North Yorkshire. After experiencing employee engagement problems, Skipton Direct, a division of Skipton Building Society, needed to create a stand out colleague event to challenge these issues and motivate the rapidly growing team. 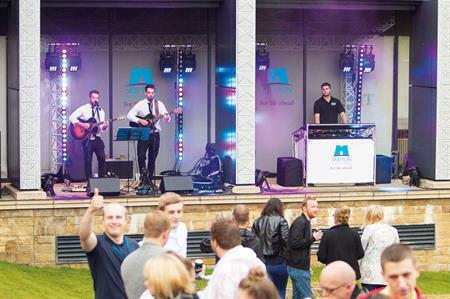 The solution was a mini-festival for 250 employees, organised by Simply Better Events. Judges said the event was extremely creative and innovative, working within a budget of £18,000. Employees described the event as a big hit, and there was a marked change in the engagement scores that followed. Engagement in values and culture saw a 5% increase, while the company received positive feedback from employees, who said the event made them feel ‘valued’.